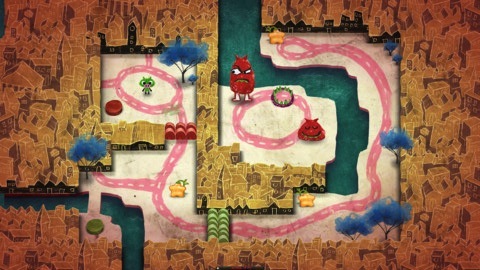 Apple’s Free App of the Week: Action Puzzler, Gesundheit! 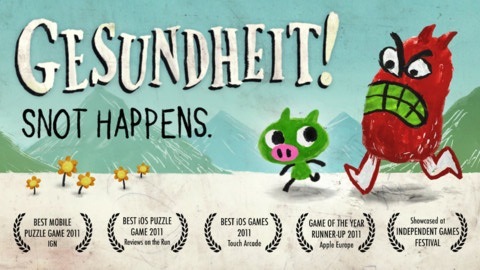 This week’s free App of the Week from Apple is the popular puzzle game Gesundheit!, from the developers Revolutionary Concepts. The app was featured as part of Apple’s Best of 2011 and has won numerous rewards based on its attractive and creative action puzzle gameplay. 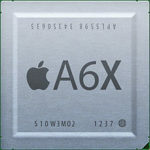 The game has Retina graphics along with an original soundtrack and supports Game Center. The game is supported on the iPhone 5, iPhone 4/4S, iPhone 3GS, iPod touch 3G/4G and iPad. Do note the game is 377MB in size according to its description in iTunes. Gesundheit! combines extraordinary hand-drawn visuals and animation with an infectious gameplay to create a vibrant and colorful world where cute characters face off against wacky monsters, pigs will fly, and snot happens!? Download links: Gesundheit! HD, Gesundheit!. Let us know if you like this!